RetroWorld is a video game related expo held annually in Connecticut. It is a celebration of Classic and Retro Video Gaming that also embraces Tabletop Gaming, Modern Video Gaming, Homebrew Gaming, Anime, Action Figures, Comic Books, Cosplay, Arcade Machines, and much more. Now in its third year, RWX is driven by Vendors, Exhibitors, Panelists, Tournaments and a robust Freeplay Arcade & Console Gaming area. 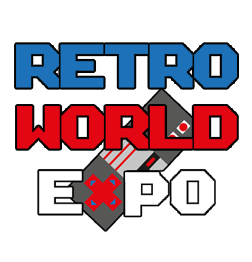 RetroWorld Expo brings gamers and retro enthusiasts from all over the country (and beyond) together for an awesome event to look forward to every year.